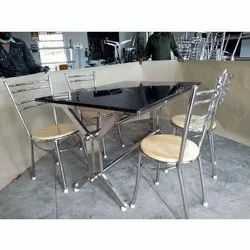 Pioneers in the industry, we offer cafeteria table, stainless steel dining table, stainless steel canteen table, stainless steel kitchen, stainless steel shelves and kitchen table from India. 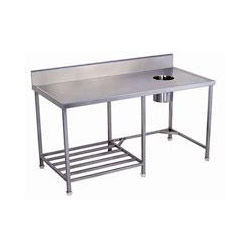 Manufacturing, exporting and supplying stainless steel tables, modular stainless steel tables, stainless steel stacking table, industrial stainless steel tables and stainless steel table with drawers with wide and industrial experience we are able to offer cafeteria table. We ensure our range is manufactured using premium quality raw materials sourced from leading vendors around the globe. These are featured with durable body, easy to erect at any place and highly durable. Our products are portable and light in weight. In all types of cafes, restaurants and bars these are widely used. 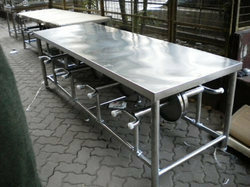 Keddy Concept is engaged in manufacturing and supplying of canteen equipment like Stainless Steel Canteen Table. Offered in small and big sizes, this dining table tough and durable tables are offered to our clients at very reasonable prices. 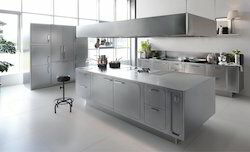 Keddy Concept has developed a reputation for high quality custom and standard stainless steel kitchen products for residential and commercial use. We pride ourselves on the quality of design and premium materials used in our cabinets and other products. 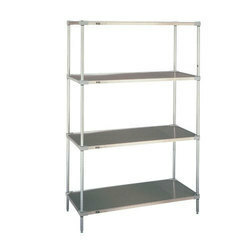 We excel in offering a wide range of Stainless Steel Shelves. These are available in various styles, shapes and sizes as per the precise demands and requirements of clients. Engineered using best quality components, these devices are acclaimed for their reliability, effective usage and consistent performance. We offer these at feasible rates. Keddy Concept is engaged in manufacturing and supplying of kitchen table. 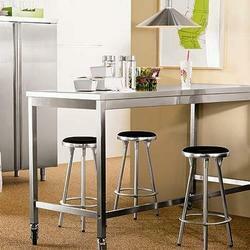 Offered in small and big sizes, these kitchen tables tough and durable. tables are offered to our clients at very reasonable prices. 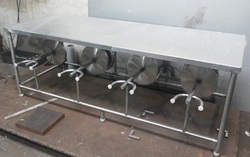 We offer highly captivating as well as reliable range of Dish Landing Counter. These are known all over India for their strength, reliability and ruggedness, and can be availed by our clients in standard and tailored forms.